Last January, the 2016 NAIAS featured 61 vehicle introductions, a majority of which were worldwide debuts. News coming out of NAIAS is heard across the globe as more than 5,000 journalists from 60 different countries annually attend to cover the latest and greatest happenings our industry has to offer. With the integration of AutoMobili-D, the 2017 NAIAS will serve as the world’s leading showcase of vehicles and technologies aimed at defining how people across the globe experience mobility. NAIAS is unmatched in the industry in presenting six unique shows in one, including: The Gallery, an ultra-luxury automotive event, AutoMobili-D, an inside look at future mobility platforms, Press Preview, Industry Preview, Charity Preview and all concluding with a nine-day Public Show. 2017 marks the tenth year of the ultra-luxury automotive event, The Gallery. This event has now become the official kick-off to the North American International Auto Show. Once again, the event is hosted at the luxurious MGM Grand Detroit where a strolling dinner will be served by world-renowned chef Wolfgang Puck in the Ignite Lounge. 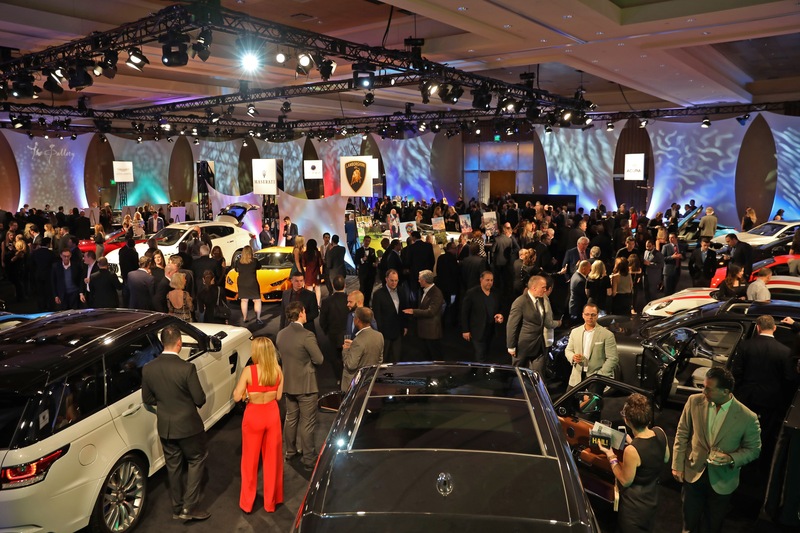 Guests will then have the opportunity to stroll through the MGM Grand Ballroom and experience a nearly $7 million collection of the most amazing automobiles the world has to offer, including brands such as Aston Martin, Bentley, Ferrari, Lamborghini, Porsche and Rolls Royce. In addition, executives and designers responsible for the creation of these products will be on hand to discuss the brands. Automobili-D is a dedicated exposition focused on the rapidly evolving global automotive and mobility landscape. Spearheaded by NAIAS, AutoMobili-D will run in conjunction with the 2017 auto show and will feature more than 100 companies, including automakers, tier one suppliers and tech startups. AutoMobili-D will kick-off on Sunday, January 8, 2017, the day prior to the start of NAIAS Press Days (Jan. 9-10), and will run through NAIAS Industry Days (Jan. 11-12). A very prominent industry thought leader will keynote Sunday’s opening ceremony following an open house that will allow guests to network with peers and participating companies as well as interact with the technologies and vehicles on display. NAIAS will dedicate specific press conference slots for participating AutoMobili-D companies on the afternoons of both Press Days.